If you love pizza, and love making it at home then it’s absolutely key to have the perfect device to do it with. 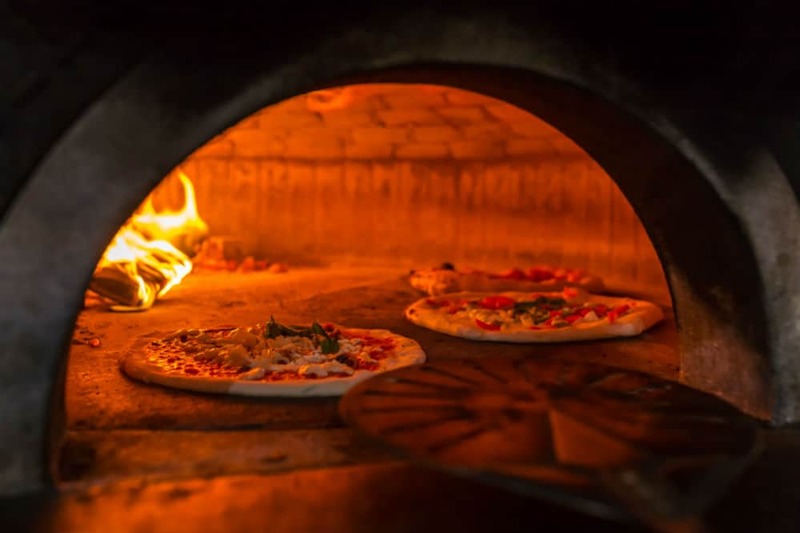 A great pizza oven can allow you to make the perfect pizzas, avoiding the added cost of having it made somewhere else and be delivered to you. You’ll also have full control over the crust, toppings, and everything else that goes into cooking. If you’re looking for a fantastic pizza oven that can do all this and more, the Uuni 3 is a great choice. Though it might be a lesser-known option, it’s sure to become a well-known name in your household for great pizzas. 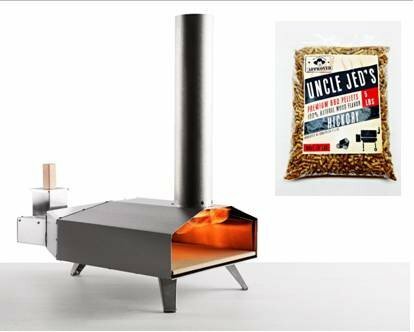 The Uuni 3 pizza oven is a relatively new model, capable of heating up quickly and reaching high heats. 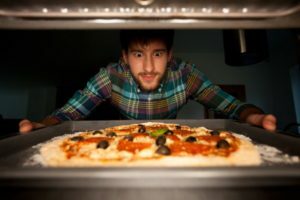 Although it is a more expensive option, it is able to cook up your pizzas quickly, making it great when you have a large number of people to feed. This compact device is perfect for making pizzas in your own backyard. Who is this pizza oven for? This is a great product for anyone looking to save money while making delicious pizzas. 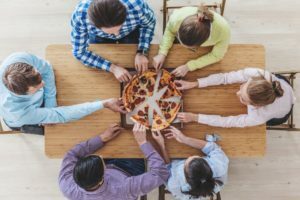 When you order pizzas to be delivered, there can be added costs of labor, delivery and tips. For a fraction of that price, you can easily make pizzas on your own to your exact specifications. It’s also a perfect choice for those who have diet restrictions. 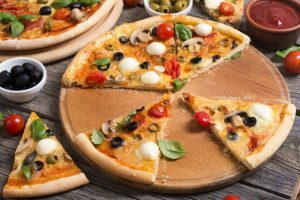 You can’t really know for sure if a food that causes you allergies may have come into contact with any ingredient being used on your pizza. As a result, it’s far better to simply make the pizza yourself, with everything you love and nothing that will upset your body. In addition, the Uuni is ideal for those who show their love through cooking. 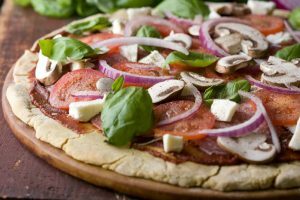 Making great pizzas is just one more way to enjoy a love of cooking and really put your heart into making a delicious meal for family and friends alike. Most importantly, this purchase will get you one great pizza oven. It’s a relatively compact device, which is able to rest on a picnic table or other area outside. Furthermore, it’s able to heat up quickly and cook your pizzas even more quickly, so you’ll be enjoying fresh pizza in no time. Along with the purchase, you’ll also get a 5 lb. bag of chips so that you can try out the oven right away. In addition to that, you’ll also get a reliable cordierite pizza stone, a pizza peel and a manual as well as all the instructions you need to do it effectively and safely. When you need high heat capability, this is a fantastic choice. It’s able to reach temperatures of up to 932-degrees in as little as ten minutes. That means minimal waiting time, and delicious pizza very quickly. Once you get cooking, it can also take just a single minute for a pizza to cook fully. Furthermore, because this is such a compact option, it’s great for use in smaller spaces. Ideally, it should be used outdoors due to the smoke that can emit from the oven. Luckily, it’s small enough to fit in a variety of places, like on a picnic table or other surface. Generally speaking, customers have found this to be a highly useful oven. While it is a smaller choice, it’s one that customers have found to be very reliable. 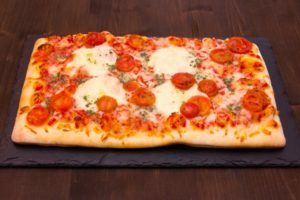 It bakes very quickly and allows you to have delicious pizzas in no time at all. The high heat allows it to finish a pizza with perfect crust and delicious flavor in no time at all. That said, some users have had issues with the other pieces that come with the oven. For example, dough can sometimes stick to the pizza spatula. As a result, you’ll want to adapt your skills to keep the pizza intact while it’s baking. Some customers wish the oven included a window so that they could watch the baking, but find that it delivers great results regardless. 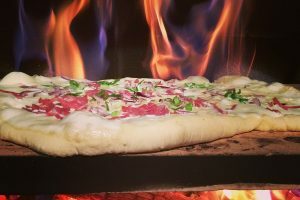 Keep in mind that there can be a bit of a learning curve when using a pizza oven. 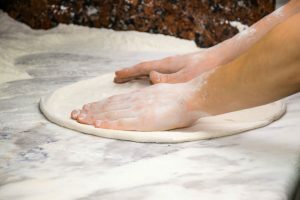 Pizzas require a pretty unique method of cooking, which includes very high heats and keeping a close eye on the pizza until it is finished. 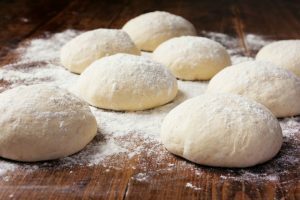 You’ll want to make sure you use tin foil or flour to help keep the dough from getting too sticky. On top of that, it’s best to use this oven outside, otherwise you can end up in a room full of smoke. Once you have a handle on it, you’ll be making professional-quality pizzas in no time at all! This is a great option for those who want something even more compact and budget-friendly. It’s smaller than the Uuni and can easily be stored away in your kitchen in between uses. While it does cook a little more slowly than the Uuni, it’s still a device with a lot to offer. If you want something that can stand by itself and give you a little more of a professional design, this is an option worth looking into. Like a grill, this option is able to roll to wherever you need it, allowing you to store it easily. It also comes in at about the same price as the Uuni, so you won’t need to worry about an absurdly high cost. Overall, the Uuni 3 is a fantastic option when you want reliable pizza cooked quickly and to absolute perfection. It’s an excellent choice that also provides a design that is compact and relatively easy to move around. With the purchase, you also get just about everything you need to get started with your baking, aside from the actual pizza ingredients. Once you get a handle on using this oven, you’ll be making pizzas that leave even your order-in favorites in the dust. 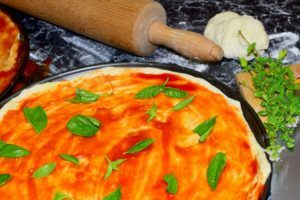 « Best Pizza Sauce To Buy	» Best Pizza Dough To Buy: Which One is the Best?